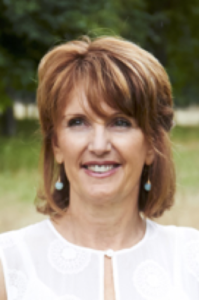 Since 2003 Deborah has worked in a large mainstream primary health setting providing a holistic nursing service that integrates anthroposophical nursing support and therapies. She has been a health faculty member at Taruna from the first nursing programme in 2001 and currently has taken responsibility for developing the nursing and health courses on offer at the College. 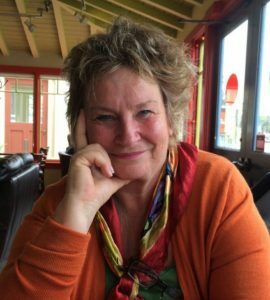 Deborah is a founding member of the Anthroposophic Nurses Association in New Zealand, has a Masters in Nursing and is an Anthroposophic Nurse Specialist accredited by the International Forum for Anthroposophic Nursing. Deborah brings a passion for exploring sources of health and development that are accessible for all. Lauren works in the field of Adult Education as a trainer and facilitator in the context of both organisational and personal development. Her journey into this field of work has been through her background in Marketing and Corporate Communications roles. Since 1991 she has been working as an independent change agent and facilitator both in New Zealand and internationally. Lauren is a member of the Association for Social Development (ASD) which provides her with an important source of international connection and ongoing professional development. The ASD is founded on the work of Bernard Lievegoed M.D. whose understanding of both the human being and organisations is based on Anthroposophy. It is from this well-spring of Anthroposophy that Lauren draws many of her approaches, insights and understandings. As she works with organisations, Lauren’s approach is to explore questions of health and development as a catalyst to making changes and improvements. Rosie brings to the Taruna team long experience in Steiner Waldorf education, working not only with children but also with staff, parents and community. Discovering this education in her mid-twenties was an epiphany after teaching experiences in the state system left her dispirited and full of questions. For many years Rosie was immersed in Curative education at Hohepa Home School: as a teacher, houseparent, community coordinator and staff trainer. Later Rosie accompanied a class for the eight years of their Lower School learning journey at Taikura Rudolf Steiner School, an experience that confirmed for her the magic of engaging consciously and creatively both with an inspired curriculum and through a process of self-transformation. In her final teaching year Rosie was a regional recipient of a National Excellence in Teaching Award.